With that in mind, we sauntered over and checked the place out. Decked out in hot pink, the ice cream ‘lab’ does a good job with sticking with the theme and making it unique. 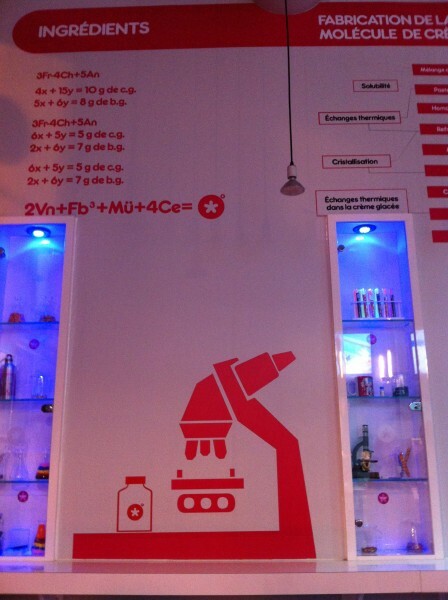 Decorated with images of microscopes, the staff is dressed in pristine white lab coats, the menu is written out periodic table style and the the formula for making ice cream is plainly spelled out on the walls. 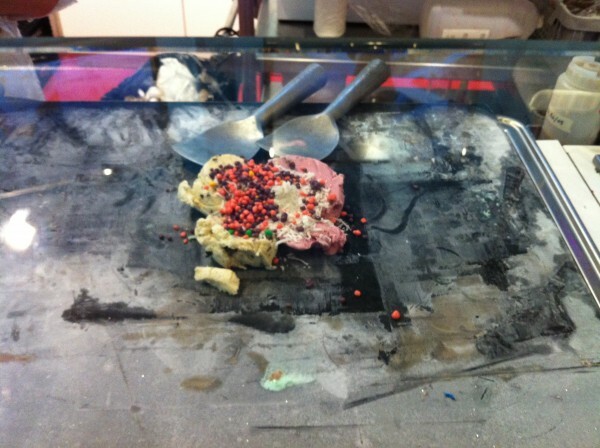 A frozen slab covered in ice surrounded by buckets and buckets of toppings is one of the main points of attraction – once selecting two of your preferred flavors of ice cream, the ice cream experts put your scoops on the slab, mix in two toppings and top it off with your choice of coulis. 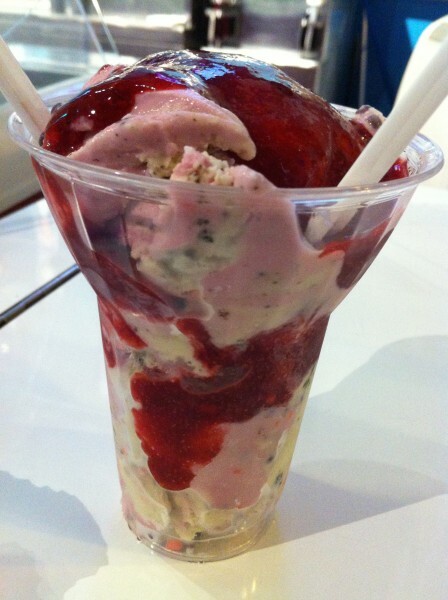 From chocolate bars to candies to fruits, the toppings selection is more than adequate. 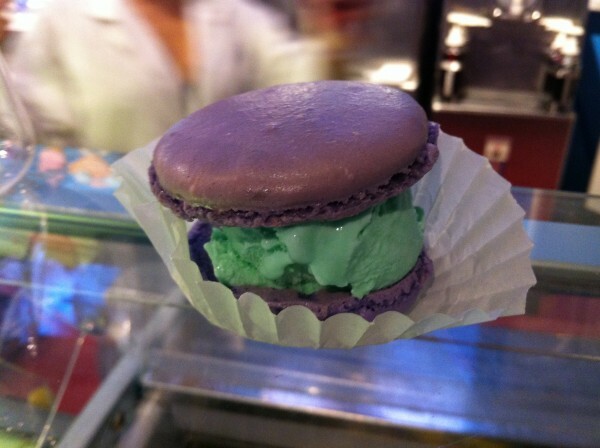 First order of business: ice cream macaroons! Among the flavors offered, we chose the pistachio. With the tops and bottoms of the cookie made with almonds, the in between was a scoop of pistachio ice cream. I was slightly surprised at how the ice cream hadn’t melted the inside of the cookie at all – it wasn’t moist or damp or falling apart. On the contrary, its form held very well. We were asked to wait a few minutes to let the macaroon settle in room temperature so that it be all the more enjoyable to eat. And it was. An interesting concept for sure. 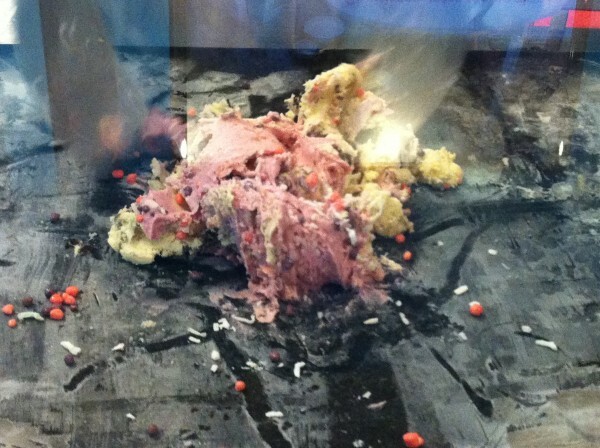 After much hemming and hawing, we ended up going with black cherry ice cream and cookies n cream, mixed in with nerds and shredded coconut – all topped off with raspberry coulis. Weird combo of flavors on paper maybe, but it tasted pre-tty delicious. Here’s your chance to get creative! Tags: Black Cherry, Coconut, Creative, Dessert, Dr. 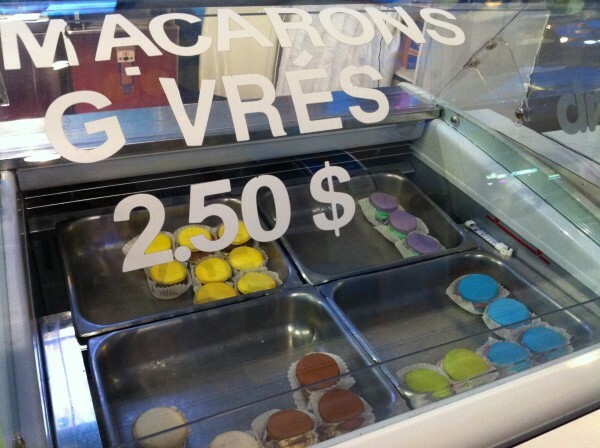 Frost, forkandtell, Ice Cream, Ice Cream Macaroon, Lab, Macaroon, Montreal, Nerds, Pistachio, Raspberry Coulis, Sorbet, St. Denis, Sweets.